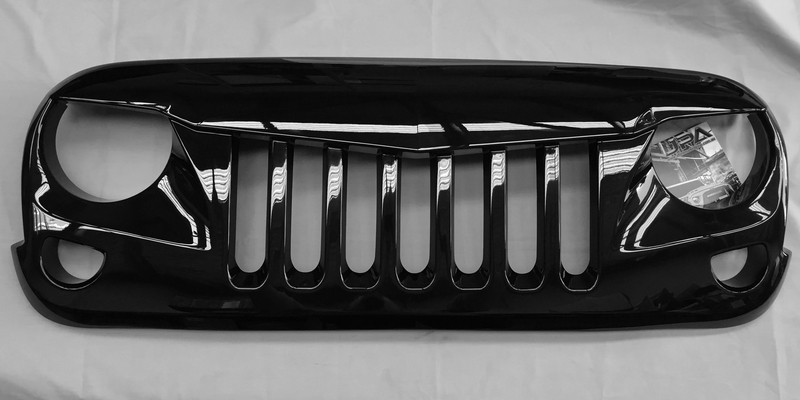 THE ALL NEW *****Jeep Wrangler JK WARRIOR ANGRY Front Grill***** ABS INJECTED PLASTIC GRILL/GRILLE, SATIN Black, for 07+ 2door and 4door models or JK8 AUSTRALIAN STOCK READY TO SHIP. 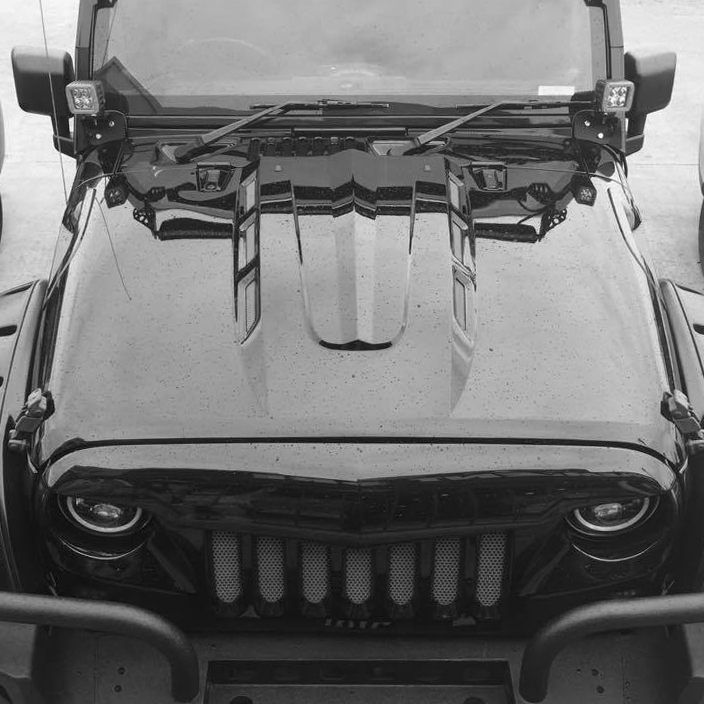 The Jeep Parts Australia WARRIOR ANGRY Grill is a ready for paint front replacement grill, it creates a funnelling effect on the grill and increases aerodynamics to the front of your Jeep wrangler, helping to increase the air intake volume to your engine compartment by funneling and improve the aerodynamics of the front end. 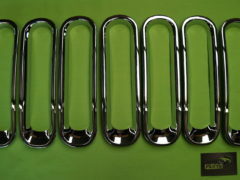 This Grill/Grille is made from ABS Plastic, the process in which this is made is from a mould where the plastic is injected into the mould at a high temperature, this means the highest quality possible for finishings,wear,tear and general longevity of the grill, we have put 90,000km worth of testing into our JPA Angry grill and have introduced the same specifics for this BRAND NEW Warrior Angry grill, and by far we have the best available grill on offer, this grill is a more rigid plastic than any other plastic and therefore is extremely resistent from scratches, cracks and stone chips/dents, also comes with a top rubber strip just like the OEM grill to stop any vibrations, this is a very neat grill and unlike any other grill on the market. Please see pictures below for actual Product. 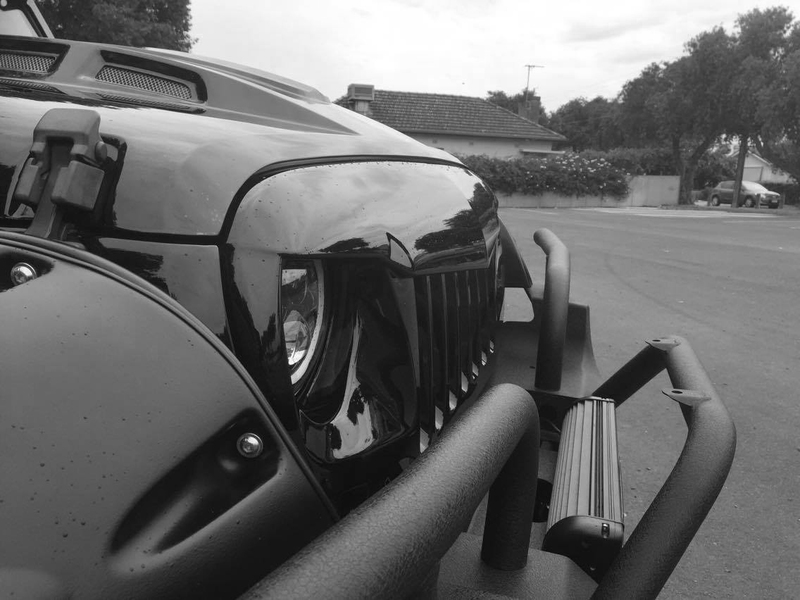 Don’t be fooled by a Fibreglass Grill, they crack, break and warp in the australian climates, this is now our 6th prototype of the grill and i can honestly say the quality is amazing, perfect for all weather throughout the world. tested in -2 degrees all the way up to +48 degrees. 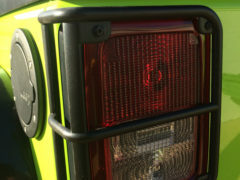 This grill will outlast any of its competitors! 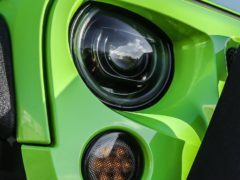 • Creates angry look to both indicators and headlights • ABS Plastic construction • Satin Black in Colour. 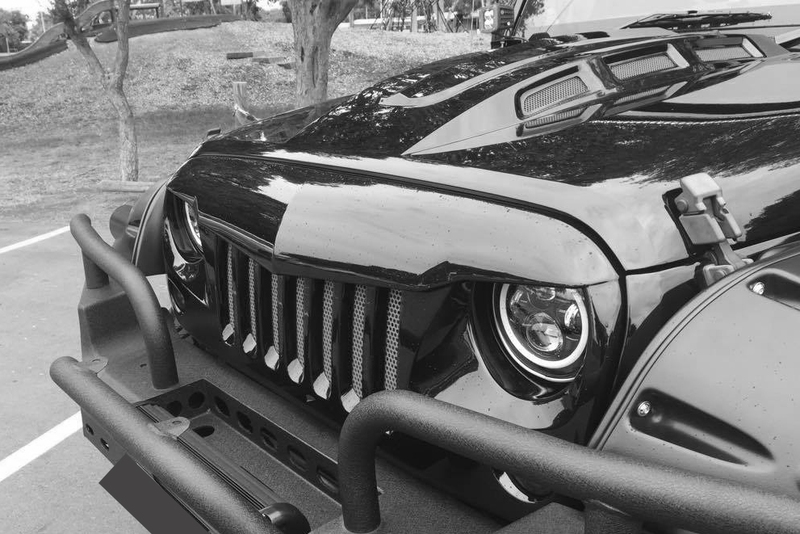 • Easy to prime and paint to match • Quick installation using existing connection points • Low profile design • Nose design acts as a bug deflector • Rubber strip above the grill just like OEM Grill, to stop any vibrations. 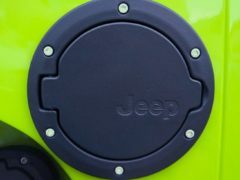 • Fits ANY JK and JKU SPORT or RUBICON (07+) or JK8 BE ONE OF A KIND CHANGE THAT FRONT END OF YOUR JEEP! 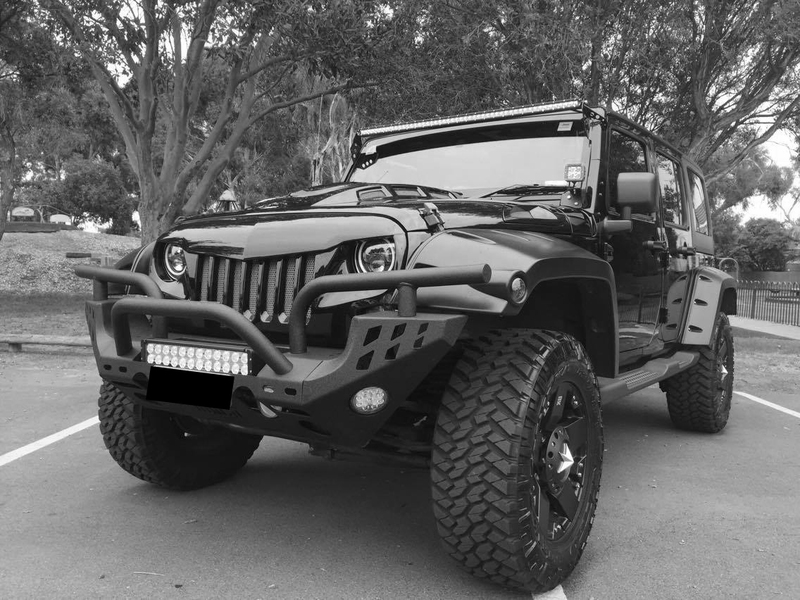 Excellent Quality Designed to give your Jeep that ultimate Custom look. 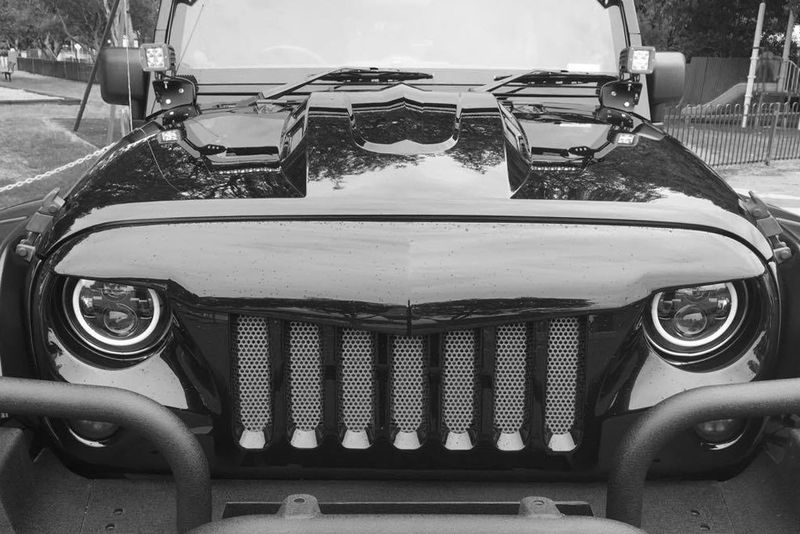 No modifications needed to your jeep to fit this grill. Get in now while stocks last. 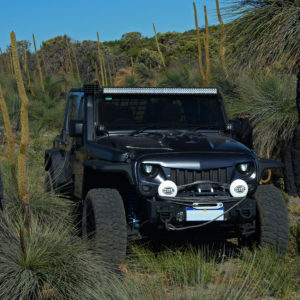 Any questions Feel free to call us: 0466 606 268. 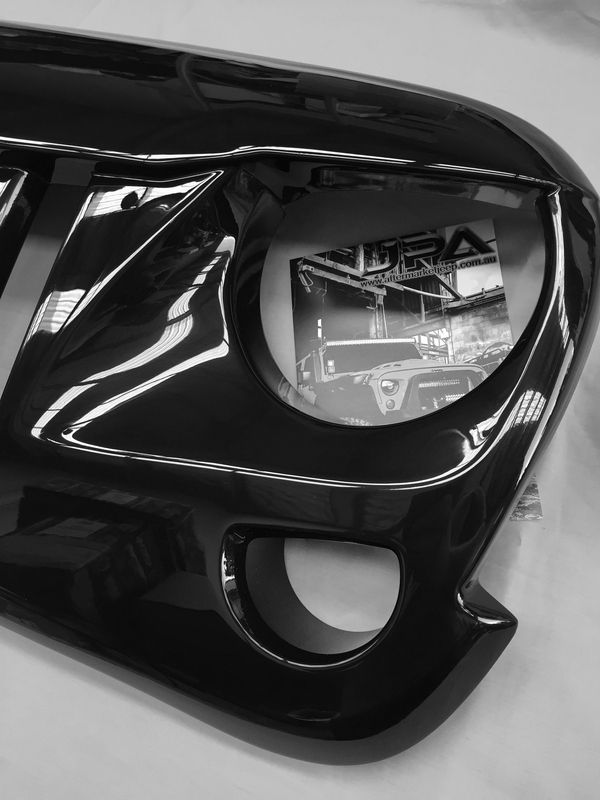 This product will arrive ready for fitment, or painting. 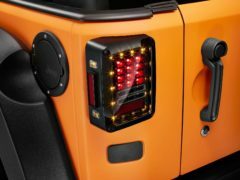 Message us about our optional painting service, We can have this grill colour coded for you, just supply your VIN and paint code. saving money and time. 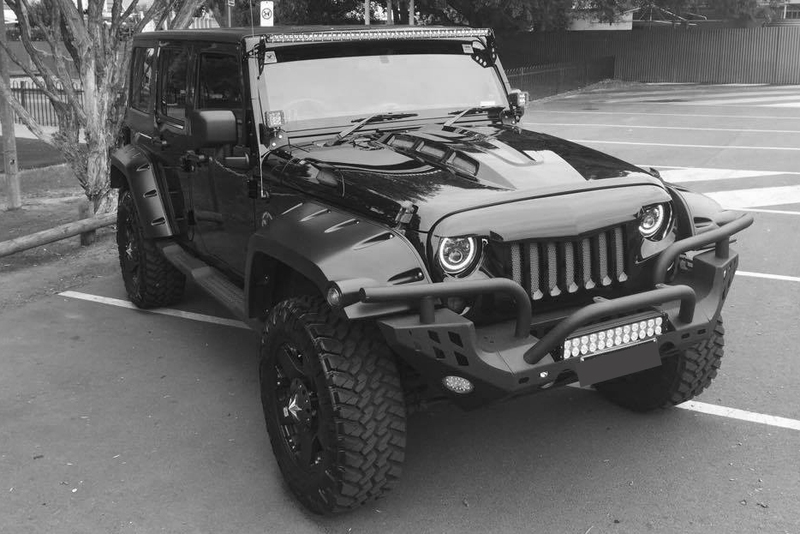 Generally takes 1-2 days for painting The grill painted in the pictures is to depict what can be done with painting, the grill your purchasing is Satin black plastic with no paint.